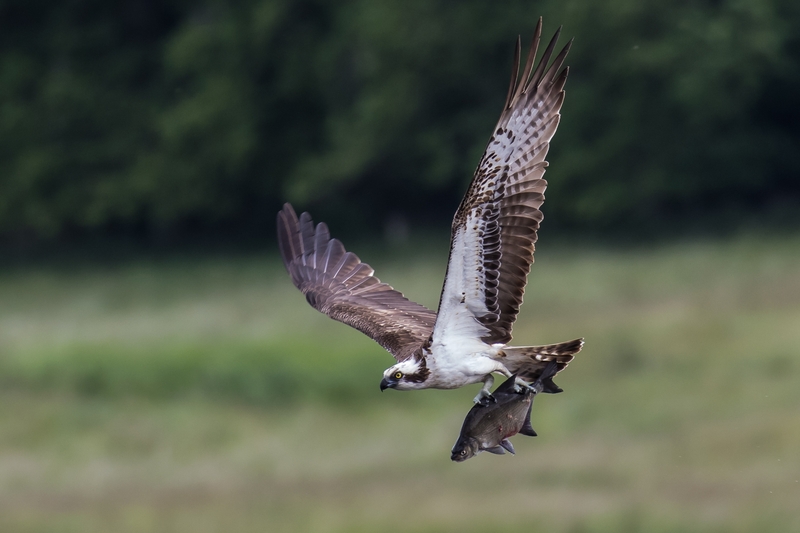 Denmark has only a few pairs of breeding ospreys – in Zealand (Denmark's largest island) only one pair. 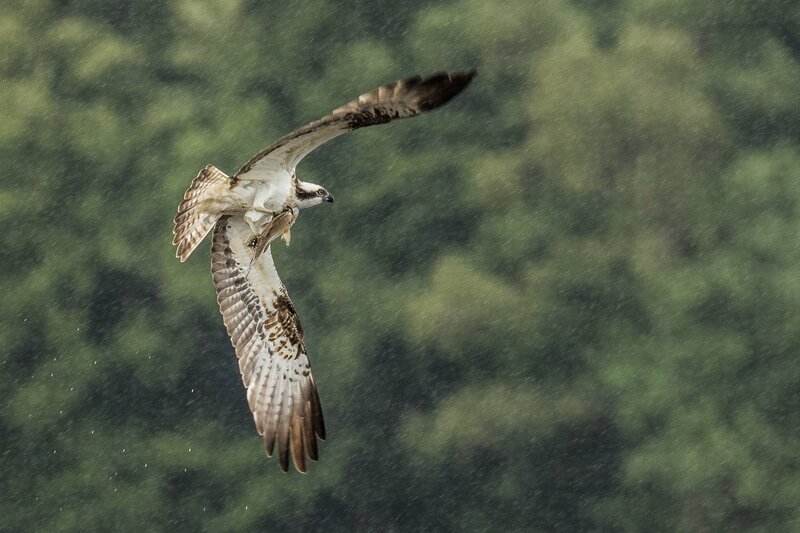 The ospreys normally catch fish in a lake close to their nest. Thanks. It's also my favourite. I love shots of birds hunting in the rain too - reminds me that their life is always hard, and demanding. 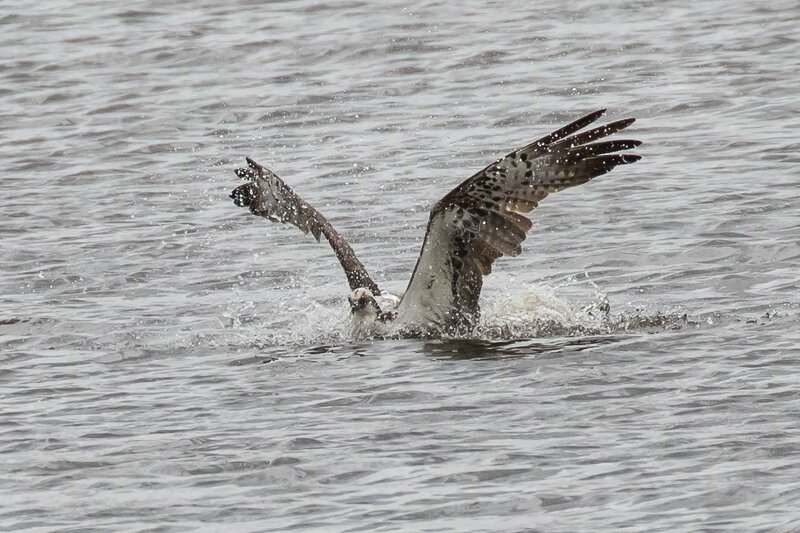 That is a big fish the osprey has in the fourth photo. 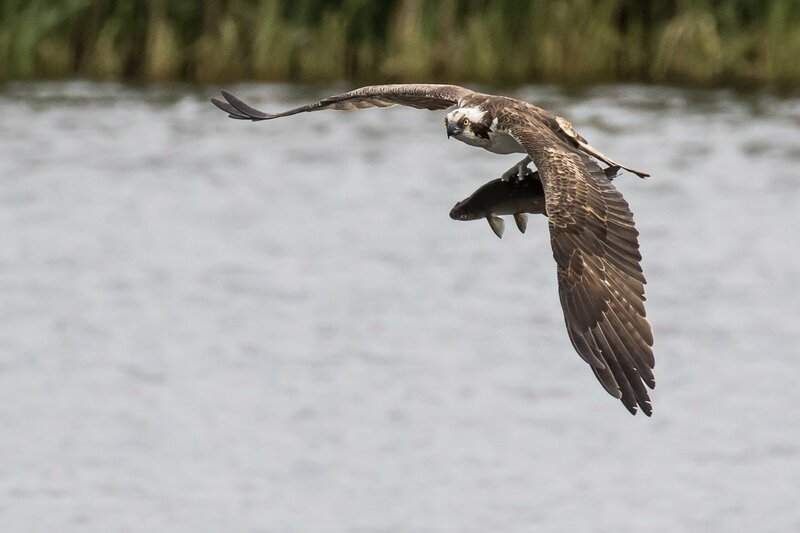 The Osprey can carry very big fish. 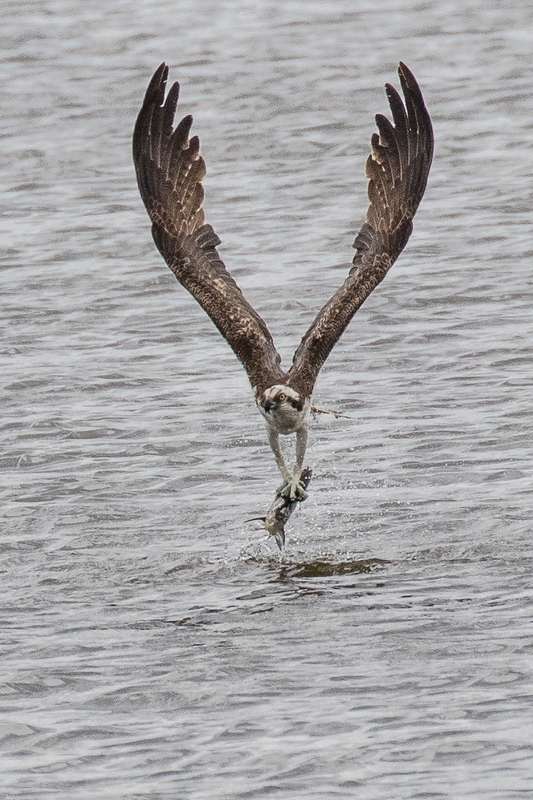 To my judgement the Osprey is better "equipped" for fishing than the White-tailed Eagle. May be that is the reason for the eagle to attack ospreys with prey in the hope of a possibillity to steel the fish. Rain shot would also be my pick - nice background texture too, imo. I will also add my compliments - and agreement with the last shot. Whilst the lighting and contrast worked against the shot in #2, I absolutely love the moment of capture. The outline of the wings in that V-configuration is just wonderful!